Even the most thought-out and best-planned user experience can get lost when attention to certain details falls short. To raise awareness for those little things that add up to an ideal user experience, we have put together Designing Better UX. 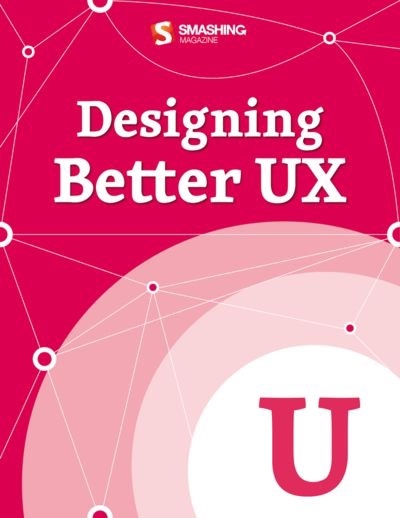 The practical approaches for designing better UX cover mobile apps, adaptive systems, and multi-screen experiences. The eBook is packed with in-depth tips and tricks shared by experts from the industry. They consider the importance of straightforward yet personal microcopy, explore the strengths and weaknesses of infinite scrolling, and take a look at how well-crafted feedback loops can influence a user's behavior. Once we decide to create a well-balanced experience, we have to thoroughly consider all of the aspects covered in this eBook. When is the user experience fostered, and when is it curbed? If you've been looking for a valuable resource for your daily UX routine, you can now stop searching.